I am very interested in pursuing an Assistant Principals/ Administrator position In a public, private or parochial school; with ultimately obtaining my Principal's Certificate in School Administration. I have been involved in the schools for 25 years in various capacities and do feel I would be a tremendous asset to the community in which I serve . I have gained a great deal of knowledge during that time I feel would be beneficial in progressing a school somewhere. 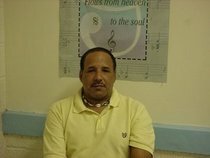 We are A federal funded program that provide music, computer, and senior citizens craft lessons in Lumberton NC. The primary focus of this program is to weed out crime, in conjunction with the Police department, and seed in computer skills and the cultural arts in areas that are high in Reported crime. The program funds off-duty officer that investigates reported crimes and serves as Community watch dogs in an effort to promote healthy community activities without fear. I am currently the Director of Bands and Choral studies at Cerro Gordo Elementary/ Middle School in Columbus County, NC. We are a very small community based school which house Pre-k through 8th grade. At present, I have 48 students sighned up for beginner band and 33 that will be in my 7/8 grade band. In Chorus, we have154 students that are signed up for the upcoming year. I Served as Director of Bands and Choral Studies at Fairgrove Middle School in Fairmont NC. Fairgrove ia a very small school, grades 4-8, located in a wonderful community in Southeastern N.C. Taught Percussion Methods and Applied Percussion Studies to all students majoring or minoring in Music Ed. I also served as Director of the University Percussion Ensemble and adviser to all Percussion Majors. Temporary. Taught Basic Life Skills and General Ed. to students suffering from TBI and those with mild to moderate learning disabilities. I am currently enrolled in the Masters of School Administration program at The University of North Carolina at Pembroke. I am currently and endorser of Promark Drum Sticks and equipment. As and endorser, I have been afforded the opportunity to speak on behalf of the company at clinics, workshops and competitions around the country. Their commitment to education and innovative products is what drew me to the Company!! I have judged marching band competitions now for 22 years. I have judged in 26 states on several circuits including USSBA and an alternate with Bands of America, and in two different countries.